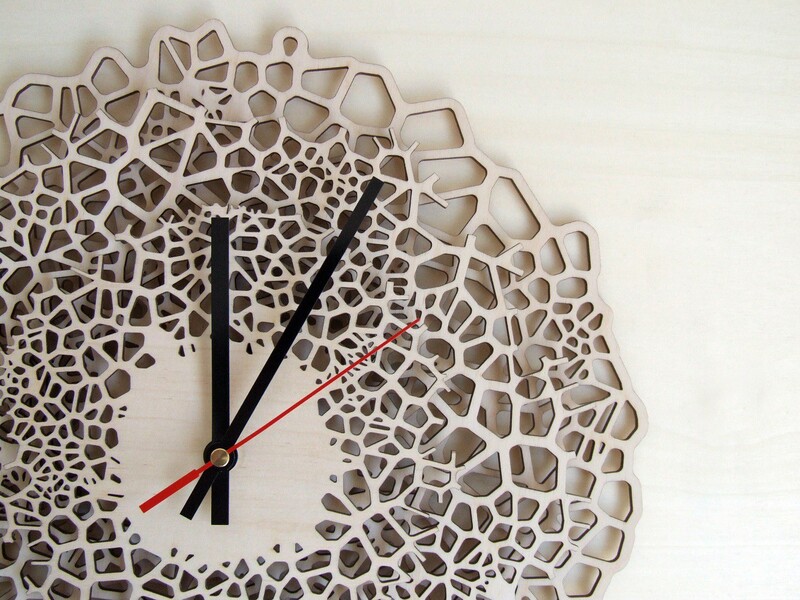 Have you ever taken a careful look at the spots of a giraffe? 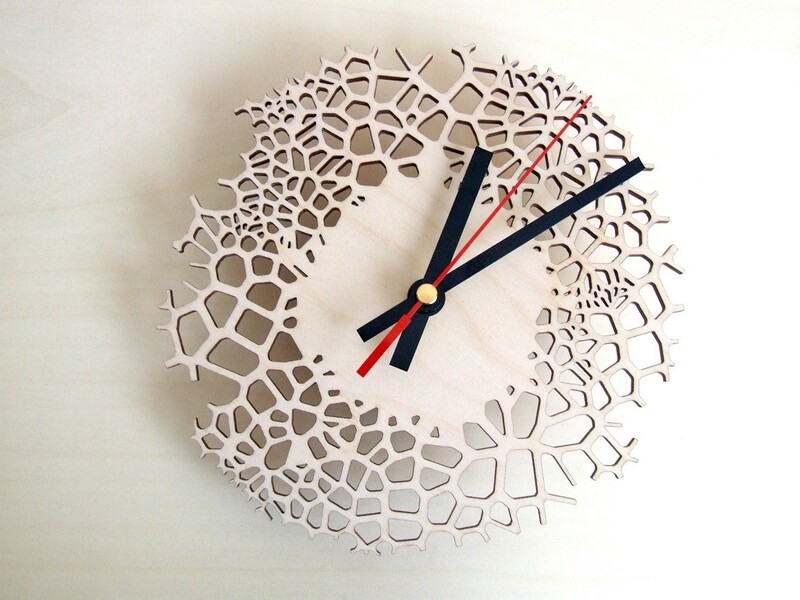 The result is a detailed pattern created by nature and a fairly simple mathematic formula. 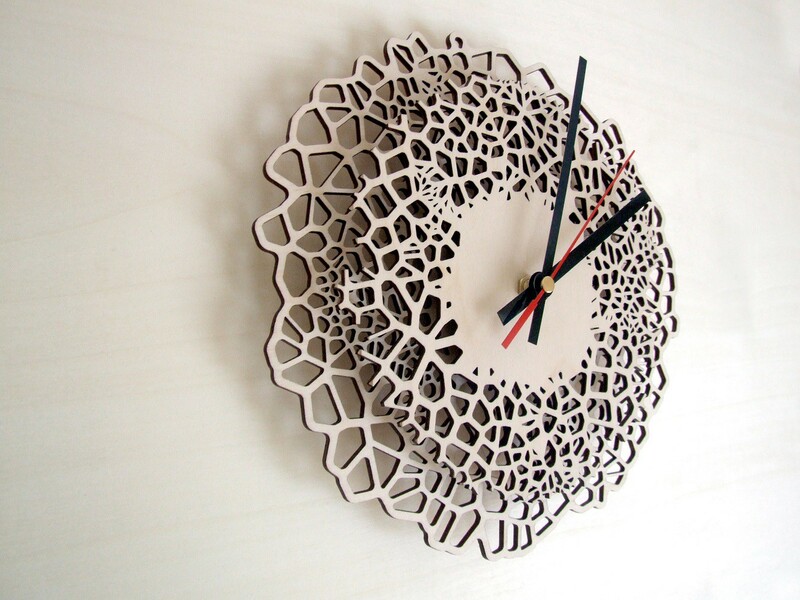 These types of patterns are called “Voronoi”. 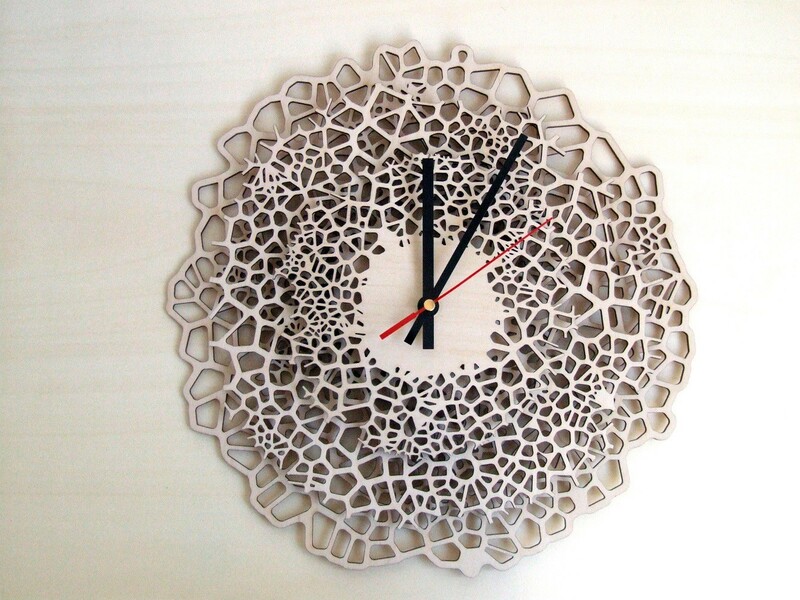 The pattern for the Giraffe wall clock was created with a “parametric design duo”, simulating natural processes in the computer. 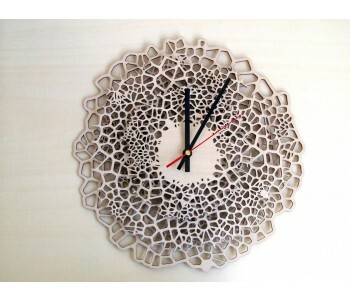 The result is a beautiful clock with depth and contrast caused by the side of the wood, which is black.